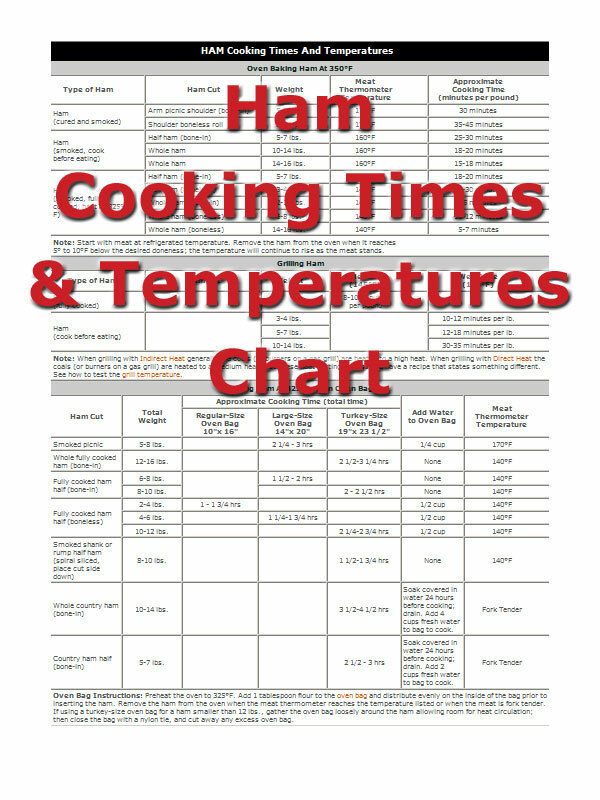 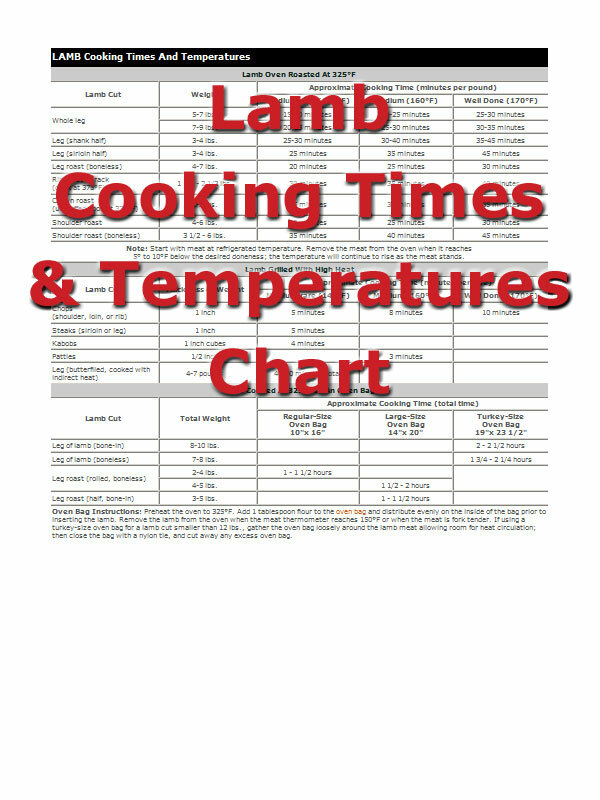 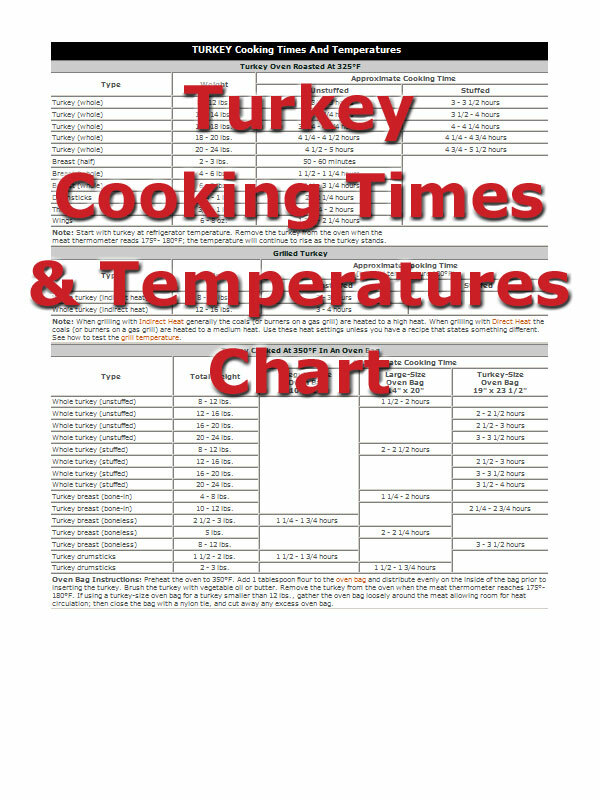 No matter what meat you are cooking, we have easy to use charts that will tell you how long to cook it. 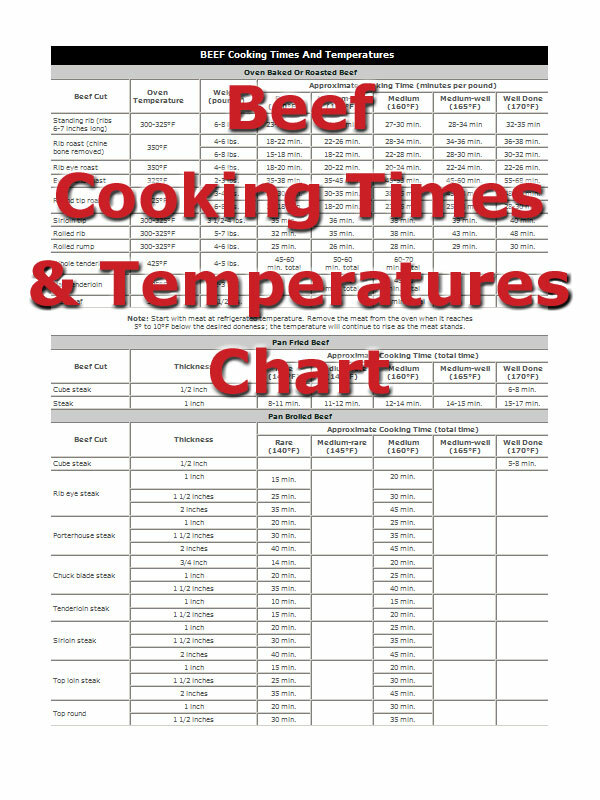 These reference charts even include the temperature you prefer, from medium rare to well done. 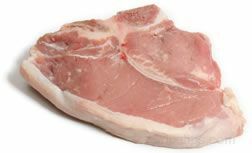 Don't over cook you meat next time, come see us. 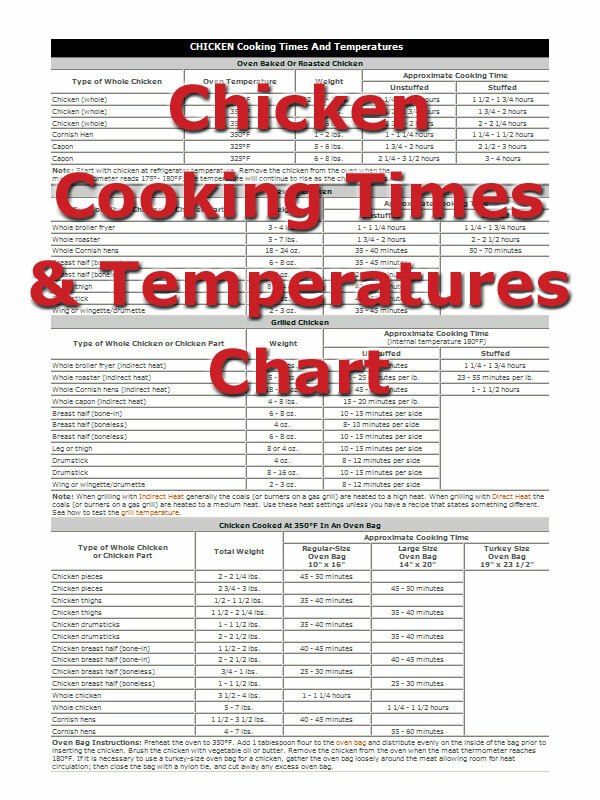 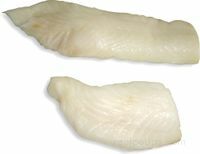 From poultry to beef to pork, each meat has a different fully cooked temperature that is impossible to keep track of in your head. 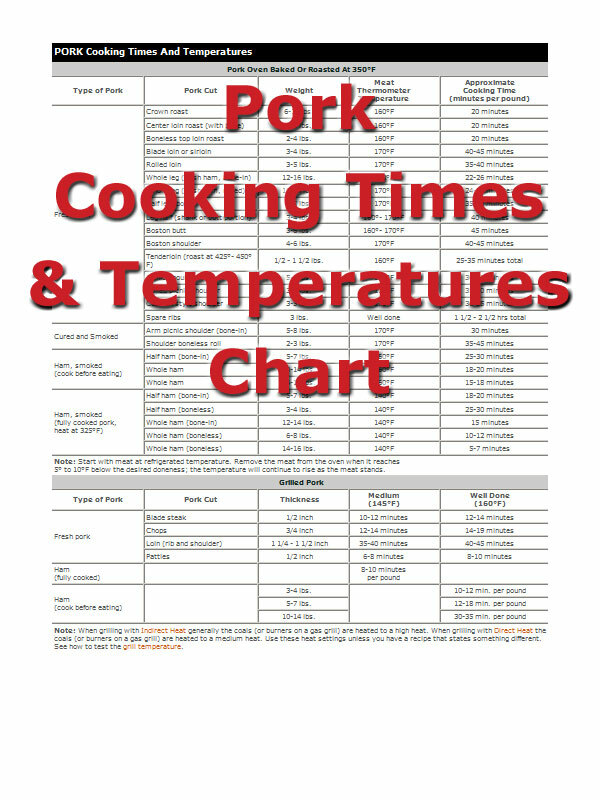 That's why we've created these charts categorized by type of meat and the tables are easy to understand for anyone. 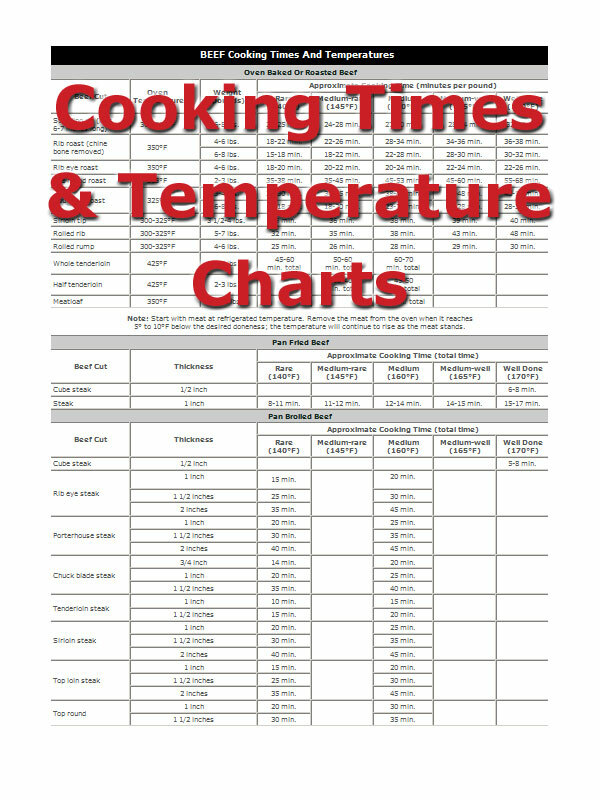 "Added this page to my favorites so I could easily find cooking times and temps when I need them rather than having to search all over. 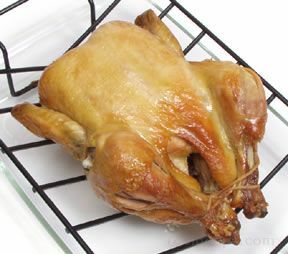 Thanks for putting them all in one place!"